PUNE: Apart from one new electric scooter, there was not much of fanfare in the new launch story category. The week was however dominated by some big corporate developments. We have all such main stories listed below in addition to the pick of the week centered on Bajaj Auto, the Pune-based maker of Pulsar, which has set its sights on global dominance. Motor Group in a strategic deal under which the companies will also collaborate on building India-specific electric vehicles and infrastructure. The companies will be creating solutions to operate and manage fleet vehicles and the partnership will also offer Ola drivers various financial services, including lease and installment payments. The investment is part of Ola's ongoing Series J round. The government has constituted an inter-ministerial panel for monitoring, sanctioning and implementation of projects under the Rs 10,000-crore FAME-II programme, aimed at incentivising clean mobility. The Project Implementation and Sanctioning Committee will be chaired by the Secretary of Department of Heavy Industries and will have other members including NITI Aayog CEO, Department for Promotion of Industry and Internal Trade Secretary, Department of Economic Affairs Secretary and secretaries in the power and new and renewable energy ministry, among others. The proposed realignment of the partnership between Bajaj and KTM is aimed at deepening the 12-year-old alliance by leveraging future mobility opportunities across the world, said a senior Bajaj official. Bajaj has termed the next phase of the alliance as KTM-Bajaj 2.0. However, there were no strategic details shared by either company. Further details are expected to be shared towards the second quarter of this year. Two years after signing an agreement, Japanese giants Toyota and Suzuki have increased their sphere of partnership to now include joint production, the popularization of electrified vehicles, the sharing of engines and the inclusion of more commonly used car models. In addition to supplying the Brezza and Baleno to Toyota, domestic car market leader Maruti Suzuki will also supply the Ciaz and Ertiga. These will also be sold under the Toyota brand in India as well as in the African markets, which would be served from India. UK auto brand MG Motors’ first fully electric vehicle eZS, which is set to debut in the October-December quarter, will be priced below Rs 25 lakh in India, making it the cheapest in the segment. India will be one of the first markets to get the all-electric sports utility vehicle, which was showcased by MG Motors at the Guangzhou Motor Show in November last year. The year of FY19 must go to Rajiv Bajaj’s Bajaj Auto. The Pune-based company which was getting flak from everybody, including its chairman, for abandoning the scooter dream has become the outperformer in the two-wheeler sector. Its domestic sales during the year soared 28 percent even as the rest of the two-wheeler industry grew by just 7 percent. The industry saw motorcycle sales grow by 10 percent for the same period but minus Bajaj’s contribution the growth stands at a mere 6.6 percent, as per data supplied by the Society of Indian Automobile Manufacturers. The twin-pronged attack of Bajaj – cutting the price of its most affordable bike CT100 and of base variant Pulsar, and launch of new variants of Pulsar – helped the company buck the broader trend. But its success wasn’t limited to two-wheelers. After years of struggle to commercially launch the Qute, Bajaj Auto finally launched the quadricycle at Rs 2.63 lakh. The four-wheeler (not to be referred as a car) was mired in controversy following a series of PILs in the Supreme Court against its launch. The icing on the cake was the start of the execution of the second phase of the decade-old partnership with Austrian off-road specialist KTM. Both companies are ready to take their alliance to the next level under the ‘KTM-Bajaj 2.0 Programme’. After making public Bajaj’s intention of rearranging its holding in KTM AG by transferring it to KTM Industries AG, the parent company of the Vienna Stock Exchange-listed maker of RC and Duke range of bikes, Rajiv Bajaj, MD, Bajaj Auto clarified that this is done to strengthen and broaden the alliance further. Rajiv and Stefan (CEO of KTM Industries) have a strong professional relationship. They share a common goal of making Bajaj-KTM the leader in the premium bike category in the world. 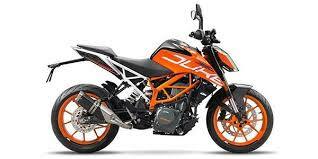 KTM even moved the production of its entry-level bikes (even that of Husqvarna) from Austria to India. Though the partnership is going strong (KTM posted best-ever revenues in 2017), the two CEOs have shown their intention to push it further by a notch. Rajiv Bajaj said that the latest move is aimed at "developing strategies and technologies for the future". Bajaj has not said if it would get any shares in the promoter company KTM Industries AG in lieu of shares (48 percent stake) in KTM AG it intends to transfer to the promoter company. Over the last 12 years, Bajaj has pumped in more than Rs 1200 crore into KTM, too big to be given away for free. Market watchers see this as a pivotal moment for Bajaj Auto which could be watching out for ‘something bigger’. For some time now, Volkswagen has been looking to sell Ducati (known as Ferrari on two wheels). The KTM Bajaj combine, along with Eicher Motors (Royal Enfield’s parent) had shown interest. Bajaj’s equity move in KTM is being watched in parallel with Volkswagen’s efforts around Ducati.